Preface. Introduction. 1. Cluster as an Approach to Innovation Development of Entrepreneurships — A Case Study from Poland Magdalena Bialic-Davendra and Drahomíra Pavelková 2. 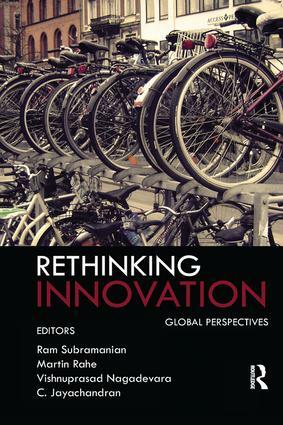 New Product Creativity and Competitive Advantage: Relevancy to the Malaysian Economy Pelin Bicen and William H.A. Johnson 3. Option-Games Analysis on the Strategic Partnership of Biotech Start-ups Takao Fujiwara 4. Commercial Spinoffs Generated by Italian Universities: An Empirical Analysis Maria V. Ciasullo and Giulia Monetta 5. Organizational Factors and Innovation — Analysis of Different Types of Organizations Vishnuprasad Nagadevara 6. Networks of Small Producers for Technological Innovation: Some Models Pankaj Chandra 7. Insights in Research and Development, and Innovation in Europe and Spain in Particular: Practitioner Perspectives V. Richard Benjamins, Lourdes Perez and Jesús Contreras 8. Building Innovative Teams on Diverse Creativity Vesa Routamaa 9. Diversity and Innovative Performance in Teams: The Role of Conflict-Management Styles, Team and Leadership Identity Aline D. Masuda and Konstantinos C. Kostopoulos 10. Strategic and Tactical Dimensions of Technology Standards Battles: Sony and Blu-Ray C. Jayachandran and Ram Subramanian 11. Challenges in the Development of Technological Capabilities: Business Models and Entrepreneurial Culture in Emerging Economies Ricardo Arechavala-Vargas, Berta E. Madrigal-Torres, Bernardo Jaen-Jimenez and Lorena G. Verde-Flota.